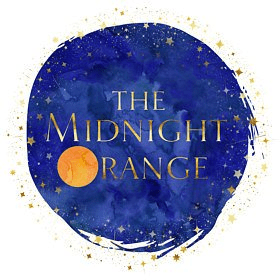 Dana Pecoraro founded The Midnight Orange in 2008 and for the past decade has been caring for tender hearts one bespoke sculpture at a time. She feels her work isn't about loss, but about life and love and loss co-exists among both. Through clay she aims to capture the spectrum of human emotion from bright to raw, and touch the difficult paths life lays before us. Her sculptures are beloved by grieving families worldwide, and are used by therapists who most often incorporate them into sand tray therapy to aid in the path of healing. After a session with Dr. Simmons, it felt like I had had a massage. I met Debbie because I had just gotten more frustrating news from my fertility clinic and started swearing and crying on the phone at the nurse. I couldn’t function (especially at work) and I couldn’t continue going through this by myself. It’s been so amazing being able to talk to someone who has been there and experienced everything I’ve had to and come out on the other side with so much empathy and understanding. After 20 years of seeing various therapists/psychiatrists/counselors on and off, I feel truly lucky for the series of circumstances that lead me to be able to work with her. After the unimaginably painful loss of my second son to stillbirth, starting a divorce and losing my job all within a three-month period, Dr. Simmons was instrumental in helping me move through the grief and in getting back to a healthy state of mind. She has provided support, insight and resources that allowed me to gain a deeper understanding of myself, and how to cope. Dr. Simmons is awesome! Funny, engaging, immediately puts you at ease. She is great at offering fresh perspective and tools for processing life. 🙂 Highly recommended!!! Embarking on IVF journey and we really enjoyed her sense of humor plus she really cares for her clients. Thank you, Dr. Deb!